One snowy day an elderly woman, Sarah, watches children gathering at the bus stop. While they never seem to notice her, she notices them, especially one little boy who has no mittens. That night, Sarah knits the boy a pair of cozy mittens and places them on the blue spruce tree for him to discover. It soon becomes a game, with the children looking for new mittens on the mysterious tree every morning, and Sarah joyfully knitting new ones each night. With its touching message and delightful illustrations, adults and children will enjoy this intergenerational tale for years to come. Candace Christiansen grew up in the Hudson River Valley and was educated at the College of Saint Rose and Cornell University. She has been a teacher of chemistry, math, weaving, and spinning at the Hawthorne Valley School for twenty years and is currently the head of the Fiber Department at Sugar Maples Center for Creative Arts. Elaine Greenstein began making children's books about fifteen years ago and is the author and illustrator of the popular Ice Cream Cones for Sale. She lives with her husband, Jose, in Brooklyn, New York. About Candace Christiansen (Author) : Candace Christiansen is a published author and an editor of children's books. Some of the published credits of Candace Christiansen include The Mitten Tree, Sky Tree: Seeing Science Through Art. About ELAINE GREENSTEIN (Illustrator) : ELAINE GREENSTEIN is a published author and an illustrator of children's books. 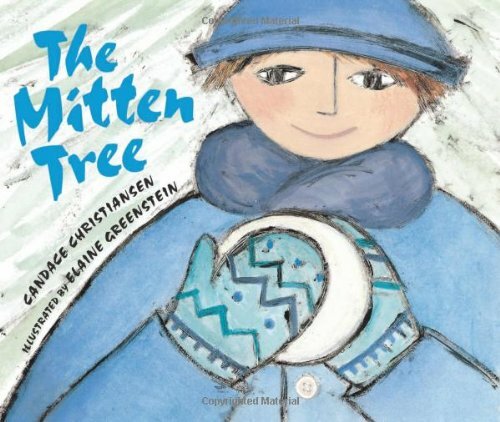 Some of the published credits of ELAINE GREENSTEIN include The Mitten Tree, Matzo Ball Moon, Ice Cream Cones for Sale. 1/19/2009 Rita Hensel said: Please visit my blog to read my review of this book.